I don’t know about you, but store bought sugar free maple syrup isn’t exactly my favorite thing in the world. It is often way too thin and lacks flavor. In some brands, I notice a distinct alcohol-like aftertaste as well. Yuck! Oh, and not to mention that most commercial brands are sweetened with aspartame. No more! 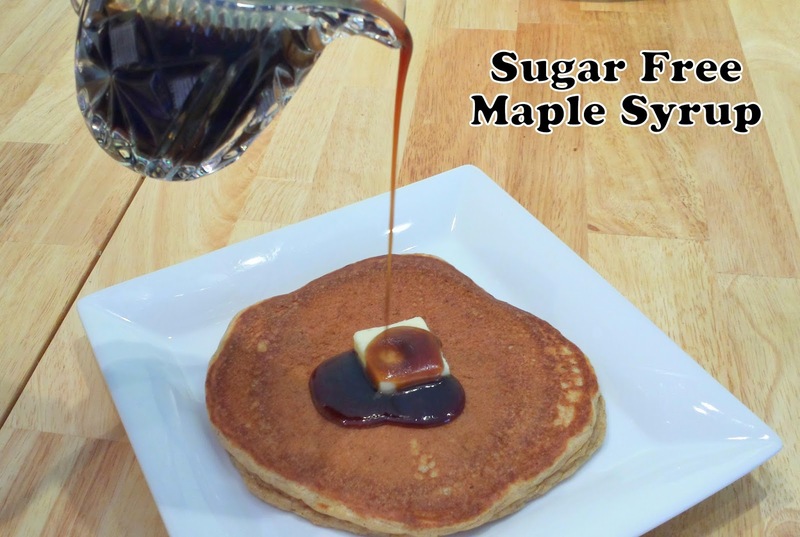 Make your own sugar free maple syrup right at home with just a few simple ingredients. This delicious syrup takes about 15 minutes to make, but most of it is spent boiling it, so it pretty much babysits itself. 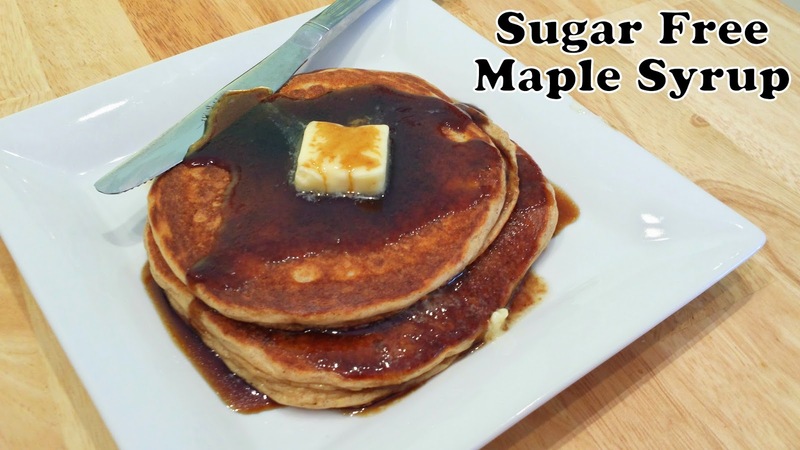 It’s thick and gooey just like real maple syrup, too– and the flavor is bold and delicious. Try the syrup with my great pancake recipe! I used granulated xylitol to make this. You could use erythritol, but I have better luck with xylitol because it doesn’t tend to recrystallize like erythritol does. If you use erythritol, you may need to microwave your finished syrup to re-boil it to get rid of the crystals. I recommend using ghee if you’ve got it–only because the milk solids from the butter will float to the top. If you use butter, you can either leave the milk solids in or scoop them off the top of the boiling syrup while it reduces. They’ll float right up to the top. 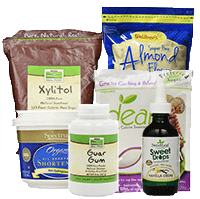 Other sweetener options include Ideal, coconut sugar (if you use it), Swerve, Truvia or Nectresse. Basically, any sweetener will do (although I’m not sure if Splenda would work). 0 net carbs per serving. Melt butter in a saucepan over medium heat until it's completely melted and bubbling. Add in water, sweetener and maple extract and stir well. Allow mixture to boil over medium heat for about 15 minutes until it started to thicken. If you used butter, you have the option of removing the milk solids (they'll look like little brown specks) with a spoon if you want. They float right up to the top of the bubbling liquid and you can simply scoop them off. Sprinkle (do not dump) the xanthan gum over the top of the liquid as it boils and then use a whisk to integrate the xanthan into the liquid. Continue to whisk until no lumps remain. Remove the pan from heat. Serve. Store at room temperature in a covered container. Microwave if desired before serving.